Homeowners who spend money on interior renovations without setting aside money for new windows might find that their hard work is not worthwhile. Windows that are 10 years old or older are susceptible to a number of problems. They can let in drafts and allow air to escape from the home. Residents can turn up the heat as high as they want or turn the air conditioner down as low as it will go and still not feel comfortable. Thanks to Seneca Creek Home Improvement, homeowners can start enjoying all the benefits of new windows as quickly as possible. Energy Star-rated products are hot right now. Those products carry the Energy Star assurance that means they will use less energy and/or keep heating and cooling bills low. 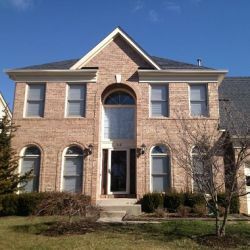 Seneca Creek Home Improvement has multiple types and styles of Energy Star windows available for homeowners, and contractors working for the company can even talk with homeowners and show them some samples before installing the windows they select. Windows typically fall into one of three categories: fixed, hung and casement. Fixed windows are windows that cannot open. Though usually made from one large glass pane, some windows feature multiple glass panes or glass blocks. Hung windows sit inside a window and have two segments of glass, one on the top and one on the bottom. One or both glass segments slide up and down. Casement windows have a metal or vinyl frame with smaller panes of glass inside the frame to form the windows. Often arranged in three to five sections, casement windows swing open. Seneca Creek Home Improvement offers all of these windows and many more including picture and awning windows from some of the top manufacturers. All of the windows it sells and installs qualify for federal tax refunds and credits, and all products come with a strong warranty. A lifetime, no-blame warranty lets homeowners seek replacements when their windows no longer work, even if they caused the problem. Whether replacing a few windows or every window in a home, Seneca Creek Home Improvement knows how to help clients pick the best products and how to install those windows. A single hung sash window, more commonly called a single hung window, is a type of window popular on older homes. It often features a large pane of glass on the bottom and one on the top, but only one can move. Common question asked to roofers: Can contractors replace fixed windows with other windows? Contractors can replace fixed windows with sliding, double hung sash and other types of windows. The contractor will first need to remove the window and then change the frame and opening to accommodate the new window. It may take more time to remove and replace a glass block window due to the mortar used.